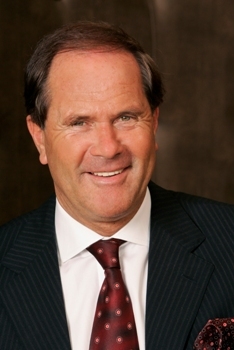 Since 1995 Reto Wittwer has served as President and CEO of Europe's oldest luxury hotel group, Kempinski. 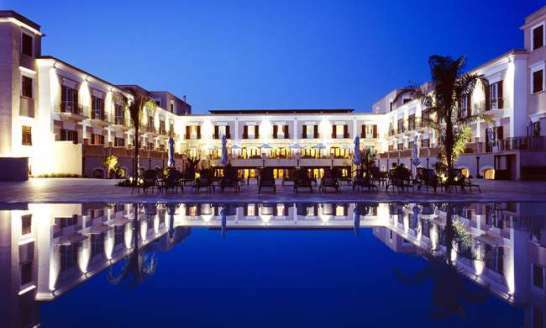 Wittwer has over 30 years experience in the international hotel industry, a career which has taken him all over the world. A graduate of the renowned Swiss Hotel Management School in Lausanne he has worked for luxury hotel groups such as Peninsula, Hyatt International, Inter-Continental Hotels and Swissôtel. 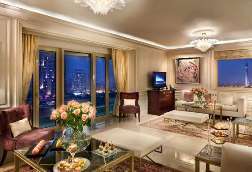 Widely considered one of the luxury hospitality industry's most respected figures he has received many accolades including the "Freedom of the City of Paris" and the title "Knight of Honour of France". The Luxury Travel Bible is thrilled that he took time out of his very busy schedule to share his expert opinions with us and reveal why being a rebel helps him make an impact on the world of luxury travel. You have over 30 years experience in the hospitality industry. What inspired you to get involved in the hotel industry in the first place? I grew up in a family of hoteliers and restaurateurs, and they inspired me to follow on their footsteps. I just decided to do it on my own terms. 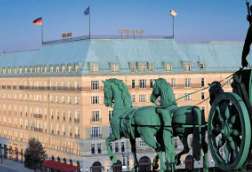 What is the single best/defining thing about Kempinski Hotels? Its diversity; all hotels have their own charm and character, and that makes it both unique and one of the most attractive hotel companies to work for. You once said "I'm a rebel and I'll die a rebel. My mother tried, my father tried, the army tried, my bosses tried to tell me what to do. I always pretend I'm listening and then do it my own way". Are you still a rebel and how does this trait help you at Kempinski Hotels? I am still a rebel, maybe sometimes in a less obvious way. Being a rebel definitely has its advantages. It makes you less predictable and keeps the people around you alert and on their toes. Being a rebel can be very good fun. Entirely personalised hotel stays, starting with the arrival at a hotel; from knowing what you should eat and which spa treatment would be best for minimising the effects of jetlag, to receiving medical tailor-made recommendations for your meals based on which destination you are in, to arriving in your room where a bicycle is waiting for you the same way you left it on your last visit. To me, this the role luxury hospitality needs to play - not becoming a second home, but a place where the small inconveniences of life disappear, in an environment which is light, not overbearing. The authenticity of the staff. If the attitude of the staff is not right, if the staff is not genuine when handling the guest, it is not a luxury hotel. Every one with the right bank balance can build a hotel; the difference is in the dedication in training the staff and giving them the right tools to provide the highest standards of personalised luxury. I value my privacy, so when I am not travelling for work, I try to look for hotels or resorts where I will be an "unknown." Paris and Tokyo are my all-time favourites. Marc Veyrat was an incredible gourmet experience. But I also enjoy Japanese food very much. I love the Lufthansa HON Circle services. These really reduce my time waiting at the airport and give me the freedom and comfort I need. The Lufthansa A380 new First Class cabins are fantastic for the privacy and comfort they provide. Phone charger, sunglasses, and swimming trunks. Returning from Korea, via Zurich, to Paris. It was a 20 hour trip, which ended with an aborted landing in Paris, with the wing of the plane literally touching the tarmac. It was terrifying. First Class tickets (for the space) and lie-flat beds in the sky (for the comfort).